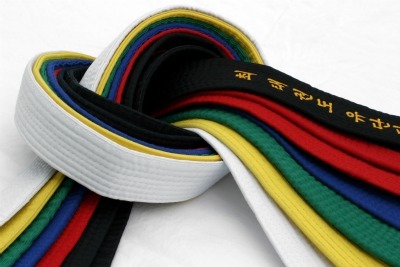 The martial arts actually help teach self-discipline and socialization skills. In fact, many parents whose children have attention-deficit/hyperactivity disorder (ADHD) report great success with these programs because self-control and concentration are exactly the skills underdeveloped in ADHD kids. A typical hour-long class begins and ends with a bow to the teacher, or master. After a warm-up, students practice the art’s particular skills, which may include kicks, punches, and blocks. Each requires concentration and strict attention. 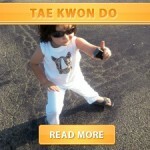 Taekwondo is a total learning activity. Lessons are tailored to a child’s age and skill level. The child begins by practicing basic patterns and forms, board breaking, kicking, blocking, striking, and punching. These fundamental skills increase your child’s physical coordination, flexibility, balance, and mental acumen. 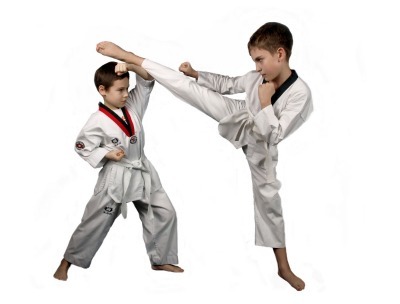 Taekwondo develops your child’s athletic abilities and self-awareness, and improves the child’s capabilities in self-defense. It emphasizes moral development as well. Children learn respect for themselves and others, heightened concentration, and increased self-discipline and self-restraint. The self-discipline that develops as a result of learning and practicing the techniques usually carries over into other areas of the child’s life. School grades often improve as your child learns to focus on objectives and to work toward achievement. The self-discipline and self-resect which Taekwondo develops can provide your child with the skills and mindset necessary to resist peer pressure. Children can start classes as early as 4 or 5 years old. In terms of physical fitness, coordination is developed as TaeKwonDo helps strenghten both sides of the body as the child learns to kick with both legs and block/punch with both arms. Finding a good Martial Arts school is crucial and cannot be over emphasized.The quality in teaching ranges enormously from school to school. Finding the right school depends on the attitude of the child and even yourself as a parent. Do you want your child to be an Olympic Champion or just find an enjoyable sport that will develop them mentally and physically and see where this takes them? Do not settle on the first club that you go to, as there is a huge range of levels of teaching. Most importantly, your kid has to enjoy what he/she is doing and also learning in the correct way at the same time. Discuss the clubs policies with the teacher and you will get a good feel for how the club is run.